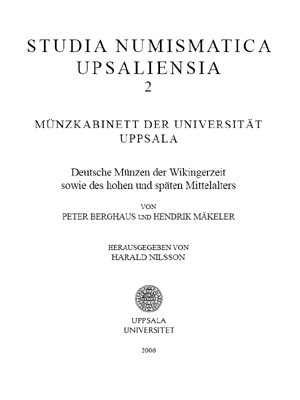 The publication of the medieval German coins in the Uppsala University Coin Cabinet was initiated by Professor Peter Berghaus (Münster), whose card index of the German coins from the Viking Ages has been computerized and enhanced by the later medieval specimens. Additionally, digital images of all the coins were taken. 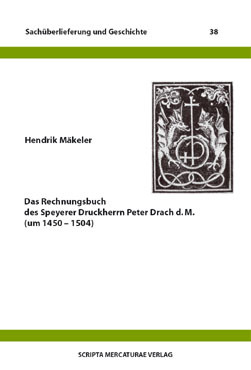 The book was layouted by Computus Druck Service. The projected edition of the correspondence between Christian Jürgensen Thomsen (Copenhagen) and Hermann Grote which covers the years 1835 to 1865 was already begun in the 1950s by Professor Peter Berghaus (Münster). Thomsen’s letters are preserved in Grote’s estate in the Staats- und Universitätsbibliothek in Göttingen, Germany.